Hosting over 500 internationally acclaimed exhibitors, such as Golden Dragon, Golden Horse, Universal Space, Wahlap, Splendid China, Wavesurfer-AFP Technology, Proslide, Zebec, Pyramid Technologies, GAELCO DARTS SL, Bandai Namco, TAA Group, Delta Strike, SEMNOX SOLUTIONS, etc, on a show floor spanning over 80,000 square meters, this March in Guangzhou, AAA 2017 received visitors of over 136,000 person-times from over 40 countries and regions. What’s more, the 6th Asia Theme Park Development Forum, one of the biggest highlights of AAA 2017, gained the universal praise from its attendees. For more details: http://www.aaaexpos.com/article/show_article.php?id=409. 2018 Asia Amusement & Attractions Expo(AAA 2018) will take place in China Import and Export Fair Complex during April 3rd-5th, a 3 days’ Event covering an exhibition area of 130,000m2, aims at building up the largest event for parks in Asia. Covered an exhibition area of 130,000m2, with 7,500 booths and more than 1100 exhibitors, AAA (integrated with CIAE & TPAE) has become the largest event of games, amusement, theme parks and attractions in Asia and the second one in the world. AAA has attracted a lot of visitors from its first day and exhibitors were busy in introducing while purchasers were busy in experiencing. Following are the highlights of AAA. Thousands of game & amusement equipment displayed in AAA brought joy to the mass and increasingly related manufacturers such as Golden Dragon, Jinma, Universal Space, Guangyang, Flying Animation Technology, Delta Strike and more, showcased various of latest products such as Fish a Fish, Jurassic Park, 10D Roller Coaster, Fishing Master and so on. AAA 2017 has attracted a lot of VR enterprises such as Leke VR, 9D, Zhuoyuan Group, Changlai, Mantong Electric Technology and more, showcased a number of VR products such as 9D VR Experience, 9D VR products, 720°Flight Simulator and so on on site. Let's expect 2018 together! Theme parks have been the main consumption object in people’s leisure time and AAA has been supported by a batch of domestic and foreign professional amusement park enterprises such as Splendid China, Aircon, UniMice, Devost Intelligence and so on. In recent years, water parks in China have experienced a rapid development, water parks manufacturers such as Daxin, Dalang, Wangming, Wavesurfer-AFP Technology, Proslide, Zebec and more, showcased their water amusement equipment such as Dragon Slide, Big Horn Slide, Wave Pool, Lazy River and so on. 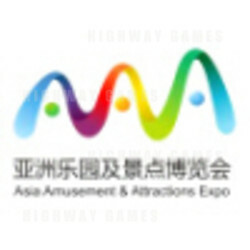 According to the official data, AAA has attracted game & amusement manufacturers and professional purchasers such as WAVESURFER-AFP TECHNOLOGY, Polin Waterparks, SEMNOX SOLUTIONS, Intercard Inc, Delta Strike, Homepin and Sacoa coming from over 30 countries and regions such as America, France, Korea, Switzerland, Belgium, Turkey, India, Argentina, Dubai and so on, gathered over 1,000 professional overseas visitors such as Sun Milk Trading Company, Tekno-Set Electr Ltd, Escape Entertainment, Esinco S.A, etc., strengthened the relation between China and foreign trading. More than 85.4% exhibitors are satisfied with the exhibition effect according our post-show survey. 82% of exhibitors reached agent/distributor agreements, 70% exhibitors booked for the next expo in 2018, 91.5% expressed the satisfaction on the number of visitors and so do 85% with the quality of visitors. 91% exhibitors were satisfied with the on-site service by the sponsors and exhibitors, the visitor groups of India and Italy and Germany and Japan and etc. were satisfied with the expo.